Ready to gear up for your next adventure? For chilly spring & autumn nights, there’s no more essential addition to your travel gear collection than a warm & cozy fleece jacket. 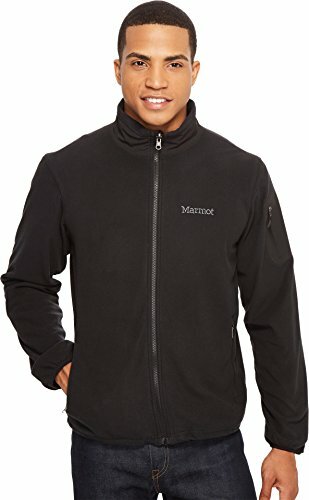 The best fleece jackets for men aren’t just perfect for providing quick protection from the cold night air; they’re also light and can be worn as a mid-layer under a warmer jacket when temperatures dip even lower. Looking for a fleece for your female travel buddy? Check out our guide to the best women’s fleece jackets! With fall or spring around the corner, you truly can’t survive without a go-to men’s fleece jacket. Whereas other cold-weather outerwear like hardshell jackets or down jackets can get bulky, fleece jackets are lightweight & convenient, and a happy medium between a full-on winter coat and lighter summer wear with more warmth than a softshell jacket. Keeping that in mind, the men’s fleece jackets we’ve selected below are light- to medium-weight and provide the protection that travellers, hikers, and outdoorsmen need to tackle the cool temperatures of fall & winter. One of the most fashionable choices among our top men’s fleeces, The North Face Denali features a classic style built with world-famous Polartec 300 fleece. The Denali is perfect for any outing—whether you’re strolling through the wilderness or around town. It features two hand warming pockets and two chest pockets, giving you plenty of storage space to carry what you need when you’re out and about. There’s also an adjustable drawcord on the bottom hem that keeps heat from escaping while ensuring the cold is blocked out. 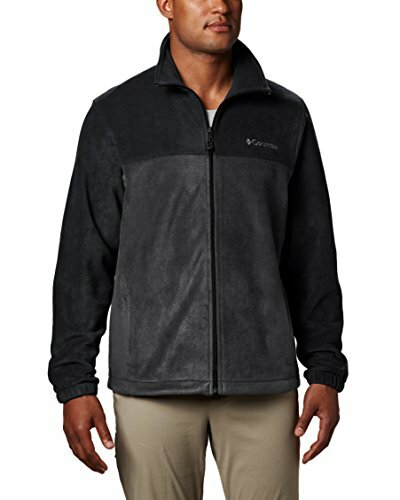 Along with keeping you warm, the Denali’s Polartec 300 fleece material is comfortable. So comfortable, in fact, that you may even find yourself wearing it while you lounge around at home on those cold winter nights. Since the jacket is slightly bulkier than other fleeces, it may not be suitable for activities such as rock climbing or any other action where extensive maneuverability is required; it isn’t too bulky, however, to be used as an inner shell. It’s easily be paired with a heavier jacket if you’re planning on going on an adventure to sub-zero destinations. Overall, The North Face Denali is a high-quality fleece jacket that keeps you comfortable and warm. It is ideal for adventurers that are into camping and hiking while also is stylish enough to wear out on the town. A staple jacket for mountain guides and outdoor enthusiasts, the Patagonia R1 Hoody has everything you could hope for from lightweight materials to extreme comfort and protection from the cold. The R1 Hoody boasts Polartec Power Grid technology, a fleece material that employs tiny squares to ensure you stay warm without increasing the bulk. The material is adept at keeping in the hot air while keeping the cold out. The fleece features a balaclava-style hoody that zips all the way up to cover the neck and parts of your face to ensure that cold air can’t get through. This is an excellent feature for skiers or those who experience high winds. 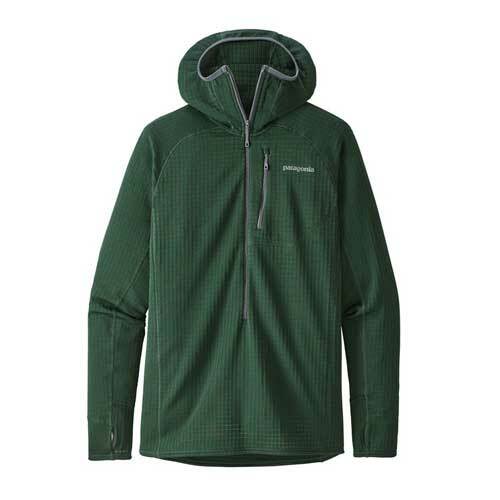 The Patagonia R1 Hoody is also extremely lightweight, at times feeling more like a base or mid-layer rather than a full-on spring or fall jacket. If you are planning to venture into the extreme cold, you may want to use the R1 Hoody under a warm hardshell or down jacket. All in all, the Patagonia R1 Hoody is the ideal weight for most outdoor activities. It isn’t the most stylish jacket in the bunch, but the simple design and comfortable material make it a fine choice for casual wear. Delighting with a classic fleece jacket design we’ve all come to love, the Arc’teryx Fortrez Hoody is perfect for almost any weather conditions with a outer layer that stops water from being absorbed. This top fleece jacket uses Polartec Power Stretch technology to protects you from the wind and rain. Compared to the Polartec Power Grid of the Patagonia R1, this technology is far better at keeping the elements where they below—outside. Much like the R1, the Arc’teryx Fortrez Hoody features balaclava-style hood design for extra protection from strong winds. The jacket, however, has a hard-faced outer layer, making it little less breathable than other fleece jackets like the R1. For cold nights, the Arc’teryx Fortrez Hoody makes a fine outer layer. Like most fleeces, however, this medium-weight coat works far better as in inner-layer. 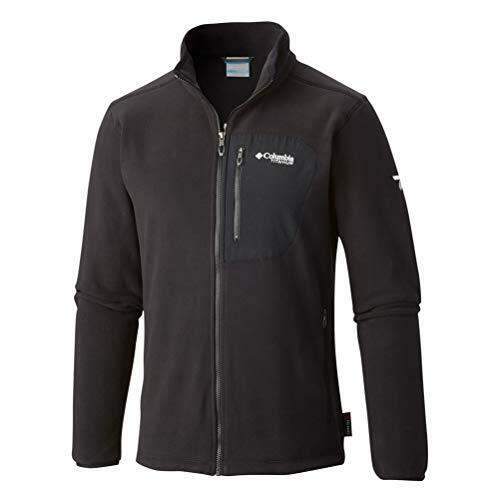 At 13.2 ounces, it’s also a slightly heavier option than most of the top fleece jackets for men. Overall, the Arc’teryx Fortez Hoody is ideal for camping and hiking, especially if you are expecting light rain. With its attractive design, it’s also great for everyday wear. 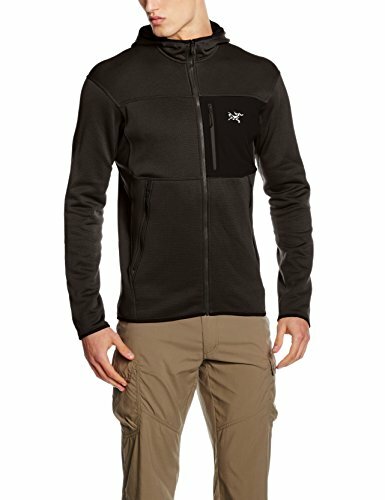 Looking for a fleece jacket that won’t break the bank? The lightweight & inexpensive Columbia Steens Mountain 2.0 is your answer. Even at the lower price point, there’s plenty of versatility here with a number of different colours offered that are perfect for both casual wear and going outdoors. In terms of keeping you warm, this fleece jacket is fairly basic. It’s most suitable for chilly autumn and winter nights, but won’t do much to protect you on frigid nights as the material is somewhat light. The inside is soft though, making this a comfortable fleece especially considering its price. Many people may have a bit of trouble with the fitting of the Columbia Steens Mountain 2.0. It isn’t trim-fitted, making it a little tough to use as an inner layer. Keeping in mind that the jacket isn’t too protective, it’s most suitable for casual wear and possibly spring or fall camping trips. 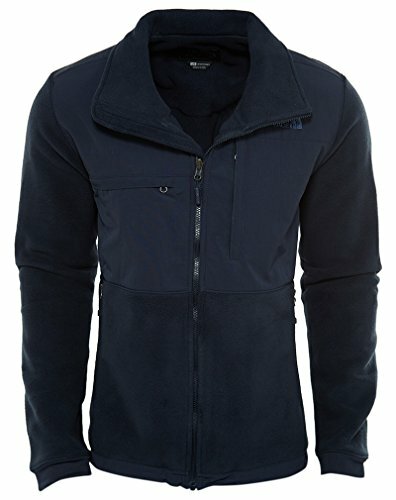 Looking for a reasonably priced, quality fleece jacket for casual wear or layering? Look no further than the Marmot Reactor Fleece Jacket. 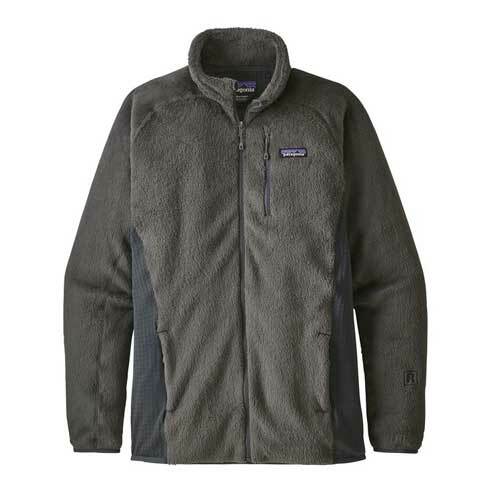 This top-notch fleece features high-quality material that provides comfort and keeps you nice and toasty all over. The Marmot Reactor uses Polartec fleece technology, making it a versatile choice. The material allows it to stay lightweight while also keeping the cold out. This particular jacket is light enough to be a base for any outdoor activity, even in the most extreme weather. Like most lightweight fleece jackets, the Reactor is not suitable as an outer layer on cold winter nights. The air will easily seep through the material in no time, making it better suited as a base layer when the temperatures become frigid. Some wearers may also find issues with the jacket’s fit as it can run a little loose; be sure to take a good look the size chart before you buy. Overall, the Marmot Reactor is a great fleece jacket at a reasonable price tag. It has an intuitive design with two hand pockets and a pocket on the arm sleeve which is excellent for safely storing your car keys or wallet. Offering a more elaborate ergonomic design over the R1 with the same Polartec Power Grid technology, the Patagonia R2 Fleece Jacket provides a comfortable and stretchy fit with better performance than its streamlined brother thanks to a slightly thicker material. The R2 blends high-performance with the look of a casual fleece jacket. It’s cozy and lightweight, but at the same time features fleece technology that provides superior protection from the cold, making the R2 a wise choice for anyone looking for the best of both worlds. Keep in mind that at over 14 ounces, this fleece jacket is slightly on the heavier side; it isn’t so bulky, however, to become uncomfortable. Overall, the Patagonia R2 Jacket is a smart option for both outdoor and casual use. The jacket’s high-quality material will ensure it will last you for years to come. The Columbia Titan Pass 2.0 may look like a basic fleece, but there’s much more than meets the eye. This lightweight coat feature two hand warming pockets and a chest pocket providing you with some extra storage space. It employs Polartec 200-weight technology which is perfect for keeping you warm on cooler spring & autumn nights. The Titan Pass 2.0 is reasonably versatile; you’ll love it both for mundane activities in the city or adventurous pursuits in the wild. It has a simple, yet attractive, design with clean lines and two-tone color options. It is a more modern design than that of its sibling, Steens Mountain, so it’s a better choice for fashion-forward travellers. While the Titan Pass 2.0 performs well initially, there’s some concerns about its durability. You may see a drop in the performance of the jacket over time especially if you wash it often. However, the coat isn’t too expensive, so it is worth the investment if you don’t plan on wearing it on extreme outings. Overall, the Columbia Titan Pass 2.0 is best suited to average travellers who sometimes find themselves venturing into the outdoors. On cooler nights, this fleece works great as a base layer as it’s fairly light. Looking for an all-around performer? You can hardly do better than the Arc’teryx Fortrez Hoody featuring Polartec Power Stretch technology that repels the elements better than most standard fleeces. Keeping your travel budget low? The Columbia Steens Mountain 2.0 is among the top value picks providing decent warmth without breaking the bank. Need a little more jacket for those chillier spring & fall nights? Snuggle up with a Patagonia R2 Fleece Jacket, one of the warmest fleeces of these top performers.